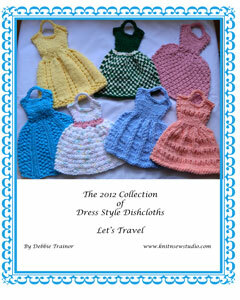 Seven Dress style Dishcloth knitting patterns are included in this new E Book. This is the culmination of the designs that I created in 2012. These dishcloths are a fun alternative to the traditional square or rectangle dishcloths as they can hang from the bottle of your detergent to dry or display. 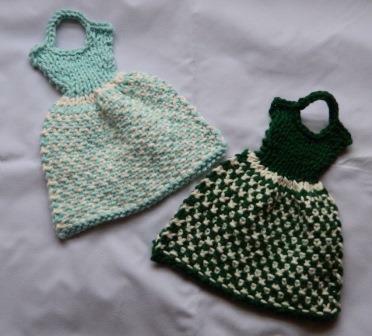 They also are great as washcloths for your favorite young girl. I’ve had so much fun designing and knitting these dresses. Each skirt is a different pattern and depending on your yarn choice, they look completely different. 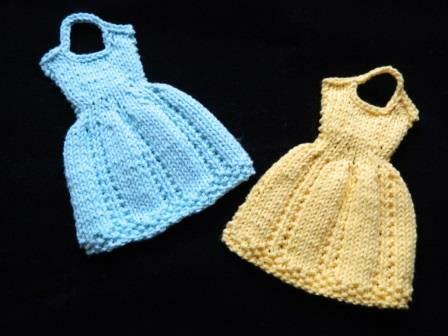 I designed the original dress several years ago because I remembered the crochet ones from my childhood. 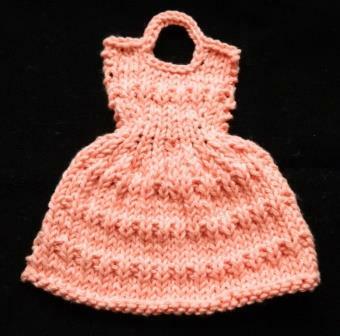 I prefer to knit and I set out to create a knit version. To find the E Book or the individual patterns visit my Ravelry Shop or Craftsy Shop.